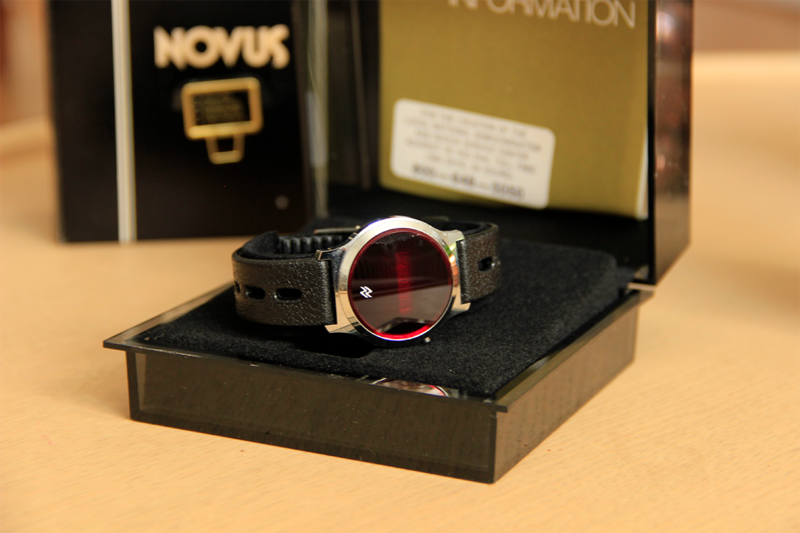 This is a new old stock vintage men’s Novus red LED digital wristwatch. 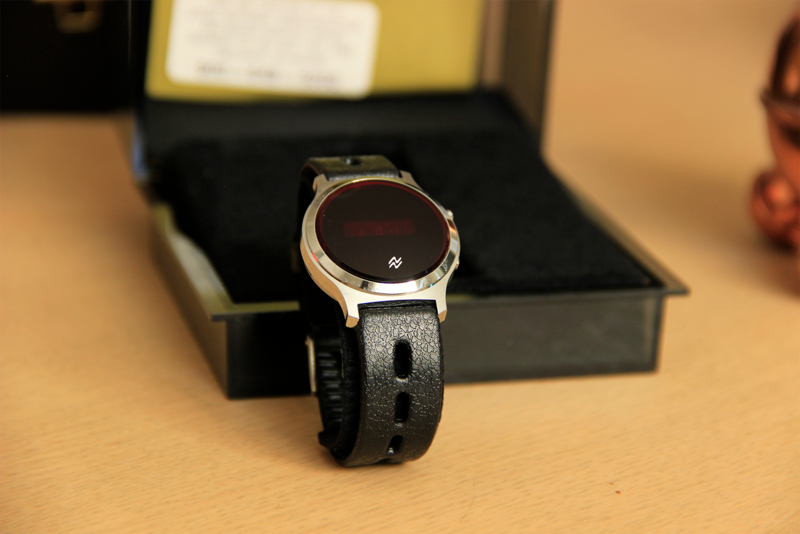 It’s unusual this one – it has an original black leather strap. 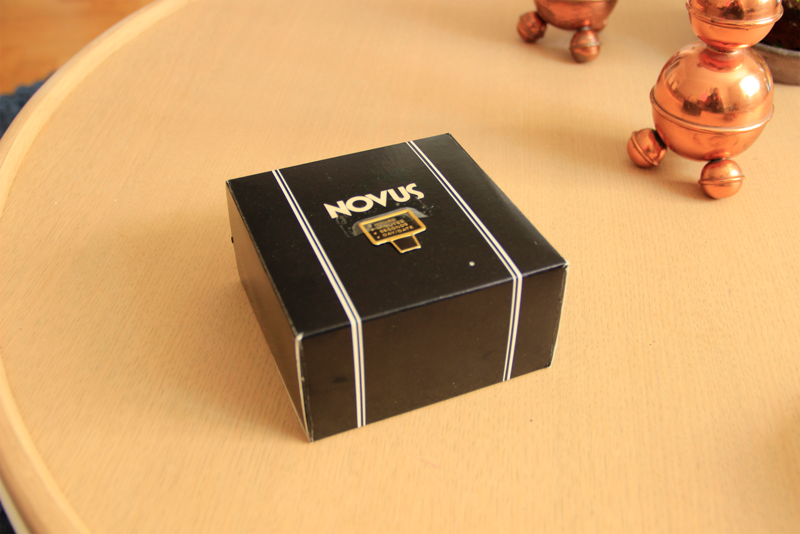 Check out the details and photos! 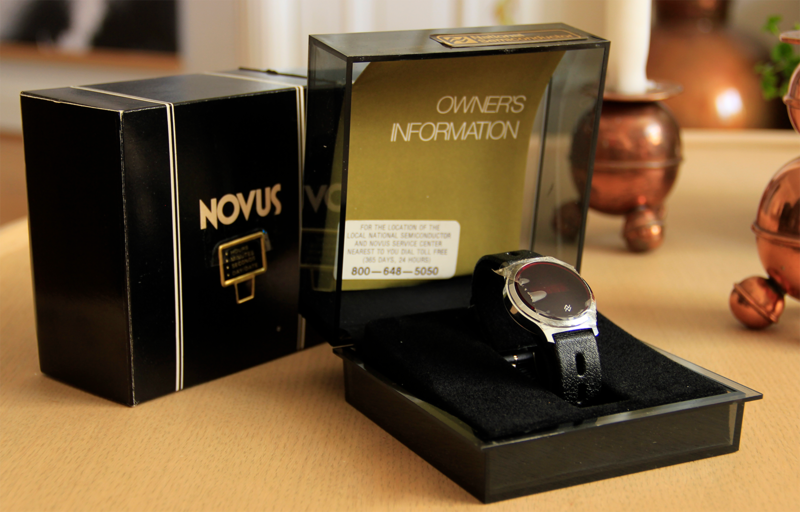 The watch is all original with the inner box, outer box and manual included. 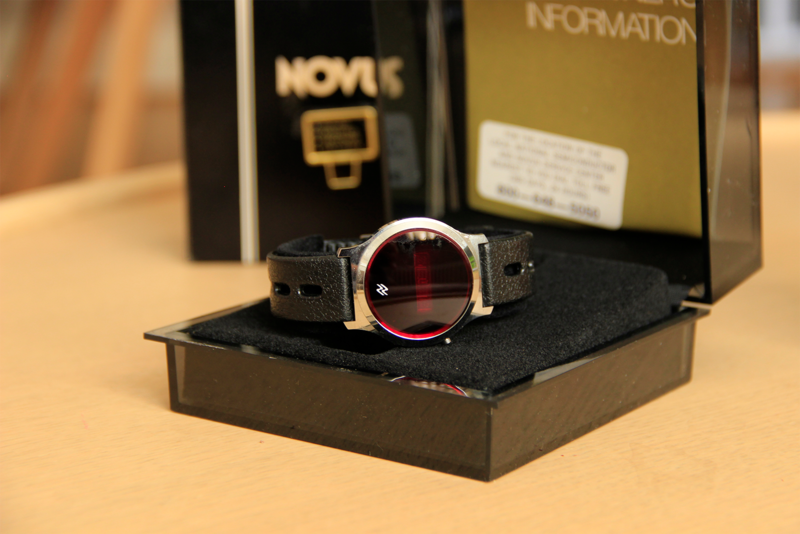 This is a delightful, classy LED watch. 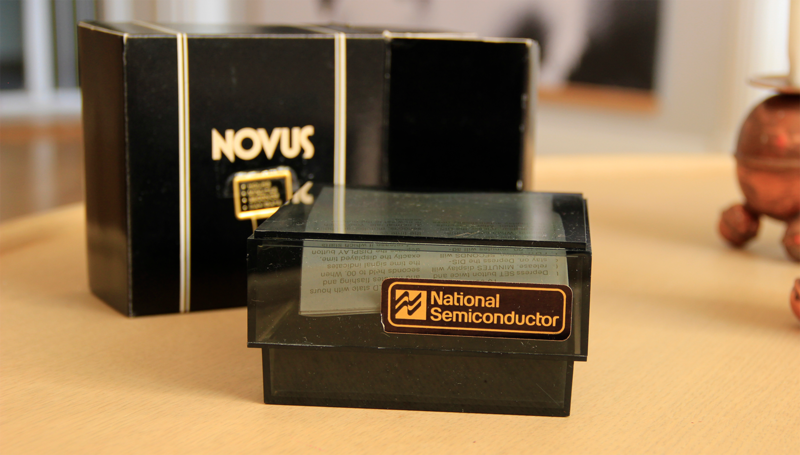 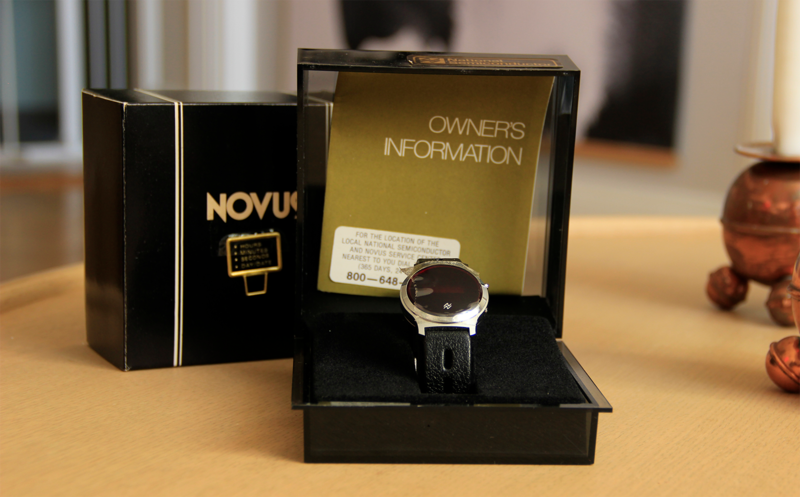 It’s a Novus, and it won’t be on the site long. 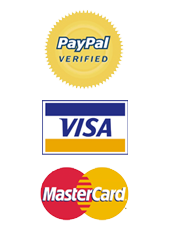 Get it whilst you have the chance!